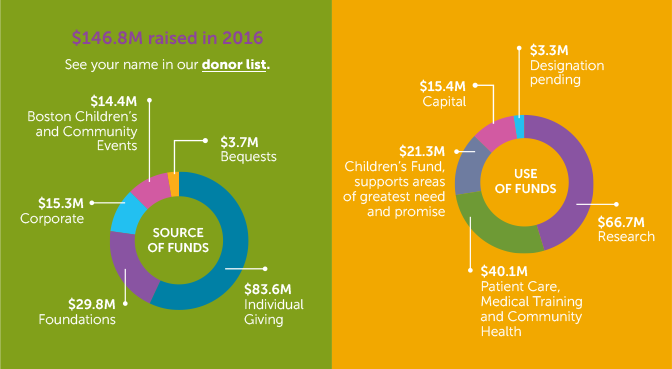 Explore the many ways you helped change lives. Levi (on left) lacked T-cells crucial to his immune system. Most children like him die before their first birthday. 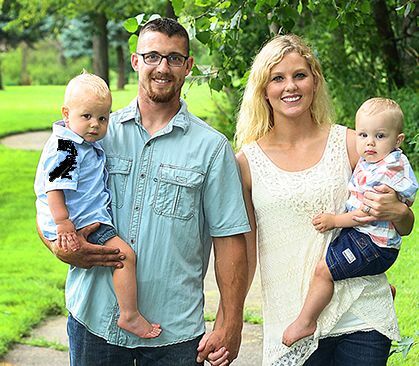 Luckily, Levi was born in Michigan, where screening for his rare condition is routine. His parents brought him to Boston Children’s before he ever got sick. He was treated with repaired cells from his own body through our gene therapy clinical trial. Today, he’s back bonding with his twin, Colton. Julie and Matt never expected to hand their 5-month-old daughter to neurosurgeons on Valentine’s Day. 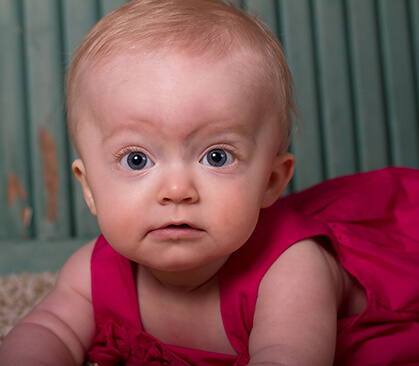 Madelyn needed immediate, complex surgery. Doctors repaired damaged arteries in her tiny brain with a special glue, normally used for adults. She was one of the youngest children to ever undergo the process. The life-threatening pressure in her brain eased. Now healthy, Madelyn has a lifetime of Valentines ahead. Most people in heart failure do not get heart transplants. They wait for another solution. Boston Children’s researchers may have one—a soft, robotic sleeve that fits around the heart and twists and compresses its chambers. In current tests, the sleeve restored heart muscle to 97 percent output—offering hope for failing hearts to function again. A child arrives at the hospital fearful of what’s to come. Enter Huggable, the robotic teddy bear, brainchild of Boston Children’s unique Simulator Program and the MIT Media Lab. 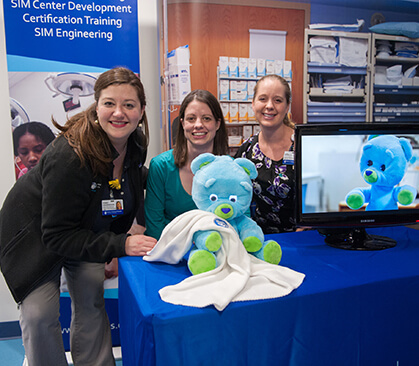 Huggable can chat, play games and tell jokes, while a bracelet collects a child’s physiologic data. Currently in a 90-child study, this trial is one of the first to look at how social robots can ease the stress of hospitalization. Parenting is hard, especially when you’re homeless. PEACE (Parenting Essentials in a Challenging Environment) gives parents tools to become the parents they want to be. For more than 5,000 parents the results have been transformational: widening their community through peer support, increasing confidence and teaching skills that help them—and their children—every day. How do you predict an outbreak? 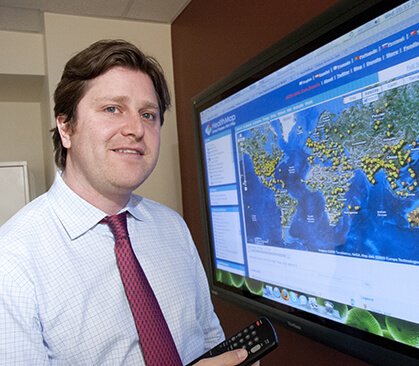 During the latest Zika epidemic, a Boston Children’s team went super digital: using local news reports, Google search trends and their own digital surveillance tool, Healthmap. The result: Their projections were close to actual numbers—and delivered weeks earlier. This approach could help governments rush much-needed resources like diagnostic tests, vaccines and trained caregivers to soon-to-be-affected areas, saving millions of lives.